How would you rate your experience with Huawei ? Huawei, which roughly translated means “a splendid act”, was founded by Ren Zhengfei, a former deputy director of the People’s Liberation Army, in 1987 in Shenzhen, China. Rather than rely on joint ventures to secure technology transfers from foreign companies, which were often reluctant to transfer their most advanced technologies to Chinese firms, Ren looked to reverse engineer foreign technologies with local researchers. At a time when all of China’s telecommunications technology was imported, Ren hoped to build a domestic Chinese telecommunication company that could compete with, and perhaps one day even replace, foreign competitors. 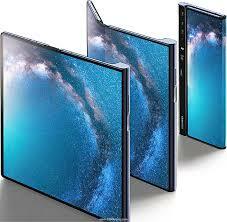 Huawei is multinational telecommunications equipment and consumer electronics manufacturer. The company offers its products and services in more than 170 countries, and it serves at least 45 of the 50 largest telecom operators. 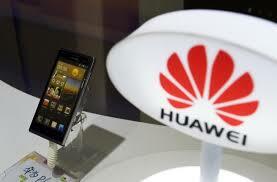 Huawei has over 1,500 networks, reaching one-third of the world’s population. Huawei overtook Ericcson in 2012 as the largest telecommunications equipment manufacturer in the world and in 2018, overtook tech giant Apple as the second-largest manufacturer of smartphones in the world, just behind Samsung. In December 2018, Huawei reported that its annual revenue had risen to $108.5 billion in 2018 (a 21% increase over 2017), surpassing $100 billion for the first time in company history. Officials and politicians within the U.S. federal government have raised concerns that Huawei-made telecommunications equipment may be designed to allow unauthorised access by the Chinese government and the Chinese People’s Liberation Army since founder and CEO Ren Zhengfei, served as an engineer in the army in the early 1980s. In a 2011 open letter, Huawei stated that the security concerns are “unfounded and unproven” and called on the U.S. government to investigate any aspect of its business. Several major U.S. wireless carriers, as well as consumer electronics giant Best Buy, began to drop Huawei’s products in early-2018, prompting Huawei to pull out of the market entirely. The company has argued that its products posed “no greater cybersecurity risk” than those of any other vendor and that there is no evidence of the U.S. spying claim. Huawei classifies itself as a “collective” and does not refer to itself as a private company. The U.S. headquarters for Huawei are located in Plano, Texas. Question 1: What is the phone number for Huawei ? Answer 1: The phone number for Huawei is (214) 919-6000. Question 2: Who is the CEO of Huawei ? Answer 2: The CEO of Huawei is Ren Zhengfei . Question 3: Who founded Huawei ? Answer 3: Huawei was founded by Ren Zhengfei in 1987. Want to make sure Huawei sees your comment or complaint?